Two months on: is the Nintendo Switch worth it? Nintendo love a gimmick, although their experiments don’t always pay off. The DS and the Wii were huge successes (they’re the 2nd and 5th best selling consoles of all time respectively), but the Wii U flopped badly due to a confusing name and concept. The good news is that Nintendo have nailed the Switch’s concept. It’s a near-perfect hybrid of console and handheld gaming, switching seamlessly between the two with no noticeable performance drop. The fact you can play a game as deep and detailed as The Legend of Zelda: Breath of the Wild on the go is pretty mind-blowing. This quick switch between handheld and home console makes the Switch an ideal choice for time-strapped gamers and families, and it’s different enough to justify a purchase if you already own a PS4 or Xbox One. Verdict: There was some scepticism about whether Nintendo could pull off a true console/handheld hybrid, but they’ve nailed it. One Switch game stands head and shoulders above the rest: The Legend of Zelda: Breath of the Wild. Link’s latest adventure, set in a sprawling open world, has received rave reviews from critics, with some even claiming it’s one of the best games ever. Unfortunately, the Switch’s current games line-up is quite weak beyond Breath of the Wild. 1-2 Switch is a good party game and Super Bomberman Z offers some retro thrills, but there’s nothing to really get excited about. There are loads of potentially great games on the horizon though. Mario Kart 8 Deluxe is out in a couple of weeks, while Splatoon 2, ARMS, Skyrim: Special Edition and Super Mario Odyssey are all due out before the end of the year. Throw in a bunch of third party titles (including a Switch version of FIFA) and indie games, including the much-loved Stardew Valley, and the Switch’s future suddenly looks a whole lot brighter. Let’s not forget Nintendo’s frankly ridiculous back catalogue of classic titles either. Virtual Console isn’t available on the Switch yet, but it should arrive at some point this year and that means you’ll be able to play the likes of Ocarina of Time and Super Mario 64 on the go. Verdict: Breath of the Wild aside, the Switch’s current games line-up isn’t that exciting but it should improve dramatically by the end of the year. There’s no getting around it: The Nintendo Switch is expensive, with the various accessories required to enjoy the full experience bumping the price tag up even further. The console alone costs £279.99, although that includes the dock, two Joy-Con controllers and the Joy-Con grip. Of course, you’re going to need some games to play on it. The average retail price for a Switch game at the moment is around £45, so you’re looking at a further £90 for two games (although 1-2 Switch is a more reasonable £30). That takes our total to just under £370. You could leave it at that, but you’ll probably want some accessories too. A £15 carry case (the cheapest we found) is essential if you’re going to take your Switch into the big bad world, and you’ll probably want a Joy-Con charging grip (£24.99) if you spend most of your game time on the TV. If you play with friends a lot, another set of Joy-Con controllers will set you back £69.99. Oh, and the Switch only has 32GB of internal storage, so you might need a microSDXC card too. In short, a Nintendo Switch can end up costing well over £500. That’s a lot of money to spend, especially when you can buy a refurbished PS4 from our Store for around £170! Verdict: The Switch is expensive. If you’ve got the cash and you desperately need one now, go for it. But maybe wait until the inevitable Christmas discounts and bundles if you’re unsure. Alternatively, sell your games console to us and use the cash to buy a Switch! Nintendo gave up competing with Sony and Microsoft on specs a long time ago, so don’t expect top-of-the-line graphical performance from the Switch. It’s not bad by any stretch of the imagination (Breath of the Wild looks incredible) but the lack of power means bigger third party games probably won’t appear on the Switch. That said, Nintendo have never let the limitations of their consoles stand in their way before. They know how to work with what they’ve got (see: Breath of the Wild) and we have no doubt they’ll release some brilliant games over the next few years. Hopefully third party developers utilise the Switch’s full potential too. Physically, the Switch is a great console. The Joy-Cons are a great idea and work brilliantly whether on the console or on the Joy-Con dock, although they’re a little too small when used in isolation for multiplayer, while the 6.2 inch tablet screen is bright and clear. Verdict: If you want groundbreaking graphics, the Switch isn’t for you. Nintendo have a history of making the most of their hardware though, and the actual console looks and feels great. 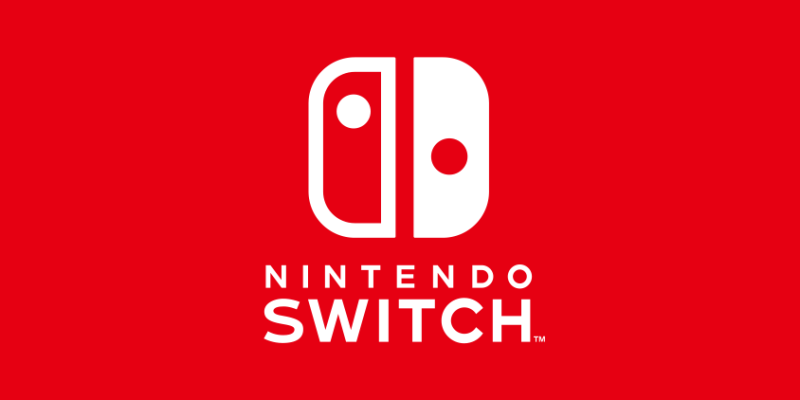 Are you thinking of buying a Nintendo Switch but need some extra cash? Why not sell video games and consoles with musicMagpie? It’s easy: just get an instant price, send your stuff for FREE and, thanks to our Super Fast Same Day Payments, you’ll get paid on the same day your items arrive. Why wouldn’t you? The Switch seems like a unique concept and definitely better executed than the Wii U which is actually quite unpleasant to play. Yet, I haven’t heard anyone talking about it, not like they talked about Skyrim, or the newest PlayStation release. Nintendo can afford to take chances in pushing their products to the edge of what’s new, intriguing and powerful. A lackluster start on the game side will affect the influence of this console even after bigger and better games have been released. The console has to stand up on its own, and at the moment, it’s being supported solely by Breath of the Wild. ← How quickly does your phone depreciate in value?